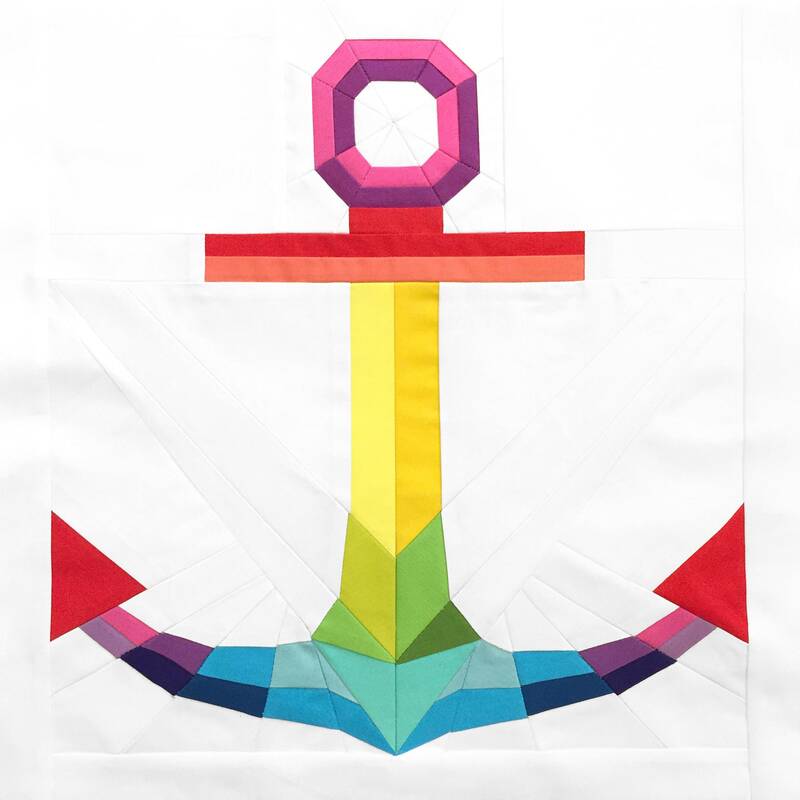 I've long been a fan of the anchor, especially it's symbolic meaning of hope. I created this pattern in such a way to give it an almost three-dimensional, beveled look when created with light and dark tones of a color. This intermediate foundation paper pieced pattern includes templates and assembly instructions to make an (approx.) 14" x 15" block, excluding borders. An assembly diagram may also be used as a coloring sheet to plan your anchor in advance. Tutorial of how to foundation paper piece is not included.